Well there is plenty to get excited about at CVS this week! 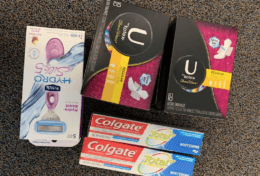 Some awesome deals and generous ExtraCare Bucks offers resulted in a shopping trip that cost me just $3.08….for over $69 worth of products. That’s a savings of almost 96%! There were a few nice freebies this week! 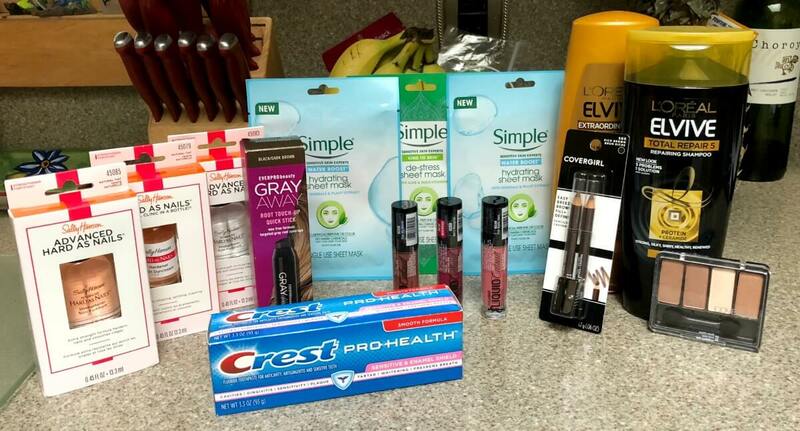 Did everyone get their free EverPro Gray Away, Crest toothpaste and CoverGirl Cosmetics? I am in desperate need of gray root coverage, so I’m pretty excited to try that product….even more excited that it was FREE! You may have noticed that I used the $2/2 Loreal Elvive CVS Instant Coupon from the ExtraCare Coupon Center that printed for all shoppers LAST week (week of 7/8). I didn’t print my coupons until later in the week so the expiration on that extended into this week…and I was able to use it to score my conditioners for FREE. I don’t know about you, but I love those single use facial masks. The deal on the Simple masks was too good to pass up. So good, that the cashier who rang me up noticed it on my receipt before handing it to me….and went to grab a few for herself! Below is a list of what was purchased. You can see the breakdown for each making it very easy for you to mix and match deals and know exactly how much each costs. REMEMBER: Extra Care Bucks have an expiration date so you want to be sure and use them before they expire. I am already planning how to use the ECBs I earned on this shopping trip for my next shopping trip! Be sure to share your favorite deals this week as well. Happy Savings! EverPro Gray Away 0.1-1.5 oz. - $8.99 Free! Select Crest Pro-Health, 3D White or Complete toothpaste 2.5- 6.2 oz. - $3.00 Free!